Sphagnum peat moss and peat moss are both used in the gardening industry. The two terms are often used interchangeably, but there are real differences between the two. The differences are important for any gardener to learn, especially if you plan on ever using these organic materials in your garden. Both the substance often called sphagnum peat moss and that which is commonly called peat moss grow in bogs and are the same plant. The difference between these, according to Repot Me, is that sphagnum refers to moss gathered while still alive on the top of the bog. Peat moss is dead moss that has sunk below the living sphagnum--peat moss may also contain other dead plants and organisms that have drifted to the bottom of the bog. Sphagnum moss is left intact as dried moss. It is usually light tan or brown and maintains its fluffy, fibrous strand appearance. It is typically sold in bags or bundles. Peat, on the other hand, has been ground up and resembles light-weight brown soil. It is usually sold in plastic bags. Sphagnum is used to line wire hanging baskets and as a potting medium for orchards. This material is very absorbent, advises Brandeis University. This is one reason it is useful for hanging baskets. Peat moss is used as a potting medium--it is in most commercial potting soils to a greater or lesser degree. Some potting soils contain only peat moss and vermiculite or perlite. Peat moss is acidic and therefore is used as a soil-amendment for acid-loving plants such as azaleas. 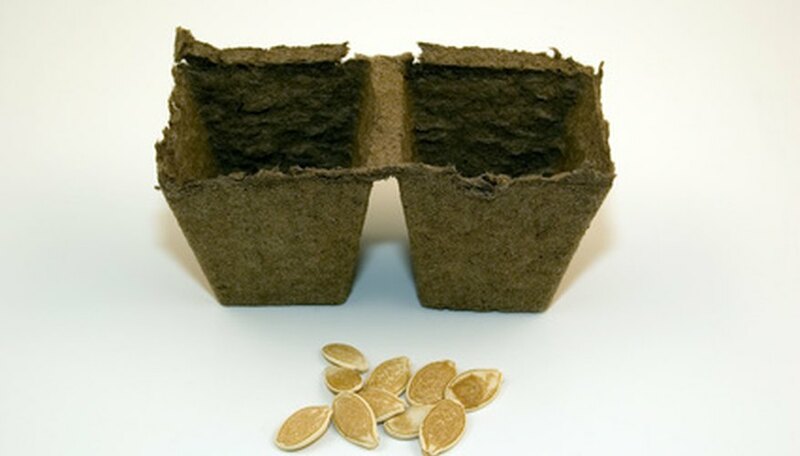 Peat is also shaped and pressed into small pots as biodegradable seed-starting pots that can be planted directly in the ground when the seedling emerges. Store either kind of peat moss before use in a dry area away from any open flames. It is flammable. Donnan.com recommends wearing gloves when handling the moss in case it contains the pathogenic fungus Sporotrichosis, as occasionally occurs. Sphagnum peat moss was once used as a wound dressing to staunch bleeding and prevent sepsis, according to Plants For A Future, and can also be used as natural, biodegradable packing material.